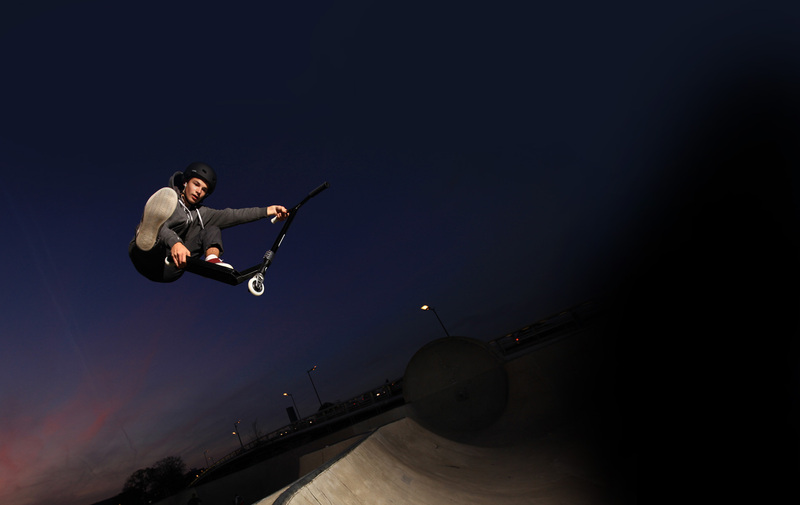 Specially designed freestyle scooters allow to do tricks and jumps, are made of top-quality and durable components. They contain smaller wheels and lightweight frame, which is great for bouncing. 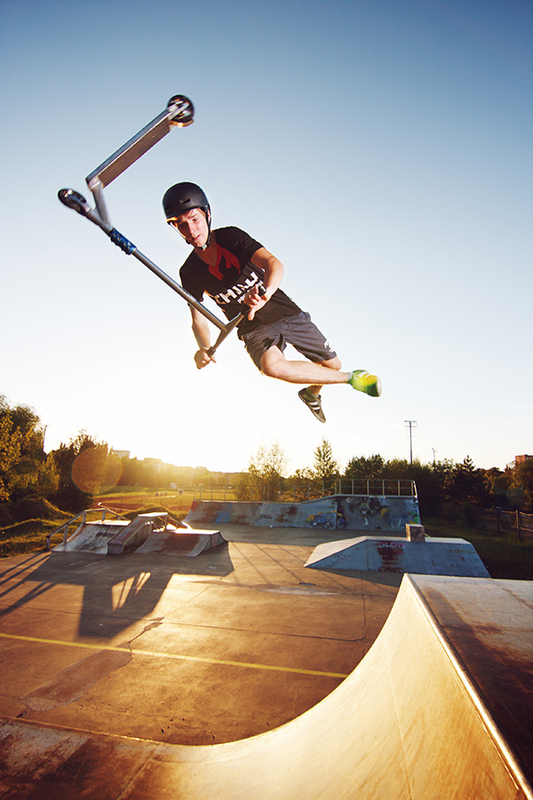 Are you looking for a scooter to ride on a high-pump or for tricks? Freestyle scooter are a whole lotta fun. 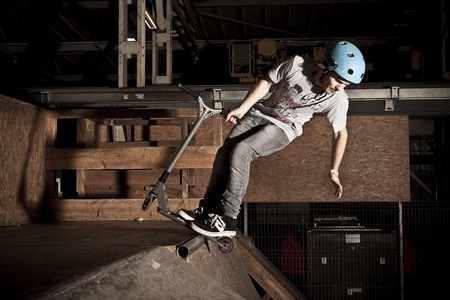 Scooters with small wheels and lightweight aluminium frame for the best tricks in skate parks or in the streets. We recommend you to consider buying protectors and a helmet along with your scooter. What is a freestyle scooter great for? 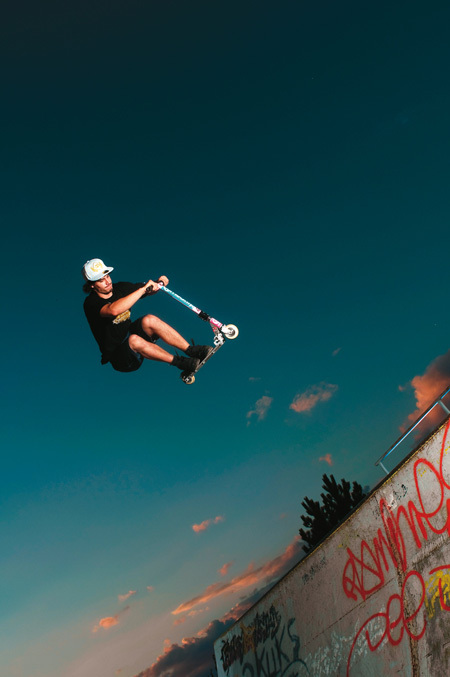 When choosing a scooter, bear in mind that if you will do tricks and jumps, it will put great stressed on the scooter, much more than by simple riding. During jumps, your weight can increase 2-3 times. And what is the wrong use of freestyle scooter for beginners? Scooters are equipped with a brake positioned on top of the rear wheel and may remind of a mudguard. The brake is used simply by stepping on it by one of your feet. Generally speaking, the speed rises with the size of the wheels, scooters with larger wheels are however harder to manipulate. 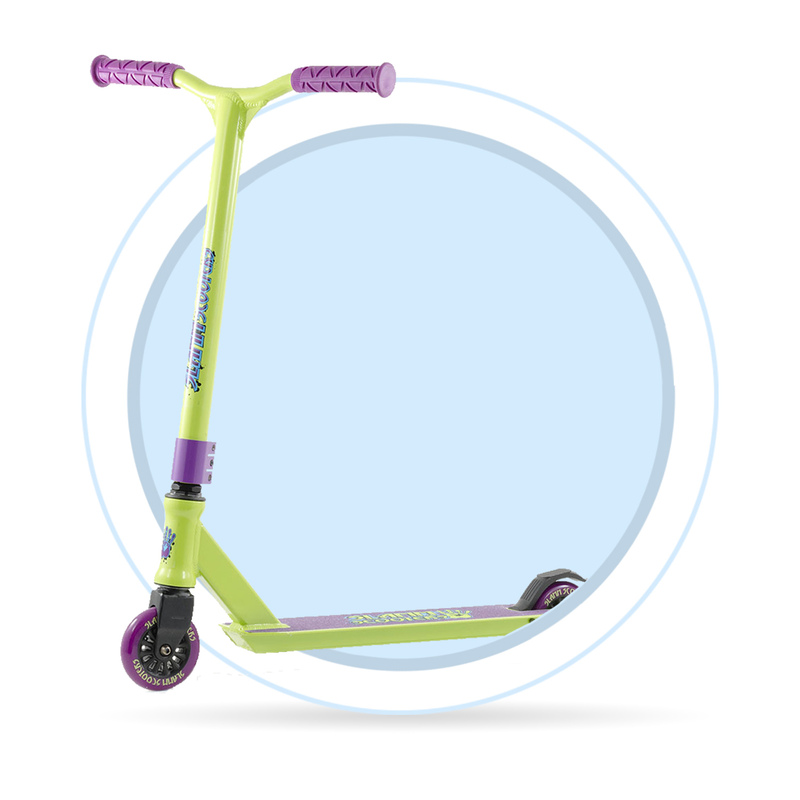 If you’re a beginner or are looking for a kids’ scooter, pick a model with smaller wheels. 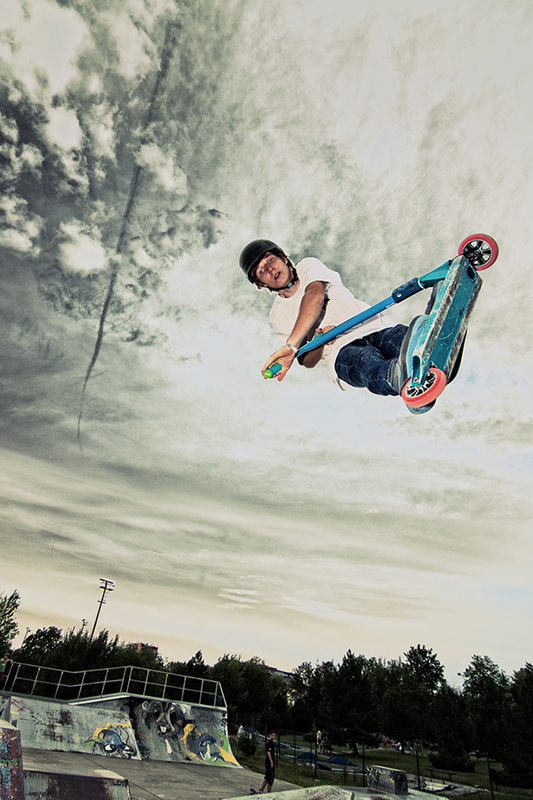 The hardness impacts the speed and comfortability of scooting. The harder the wheels, the higher the speed. Softer wheels provide however for more comfortable ride because they offer better shock absorption. Some scooters feature inflating tires and their hardness depends on how much they are inflated. Soft wheels are indicated as 86A and lower. They provide better grip, are slower and suitable for beginners. Hard wheels are indicated as 88A and higher. They are suitable for scooting in skate parks. The are more durable but don't provide nearly any shock absorption. The lower the number, the softer the wheel. Handlebars are either made of steel with added chrome molybdenum or of aluminium. Aluminium handlebars are up to 30% lighter, but less rigid than steel ones, and they are recommended for rider’s up to 50 kg. Handlebars should be covered with a sleeve to cover all notches. Handlebars may be divided into several categories according to the diameter of vertical bar, they are two different outer diameters (31,8 mm and 34,9 mm) and two inner diameters 28,5 mm and 31,8 mm). Backsweep bars are bars bent in a back angle towards the rider. If the bars are straight, they’re described as Zero Backsweep. Downsweep and upsweep and other possible variations of bent bars, most common bars are in the shape of Y and T. Model-T bars are lighter and better for beginners, while model-Y bars are stronger.